In this tutorial, I will tell you how you can recover deleted files from Computer and SD card or even Pen drives. But before recovering permanent deleted or format pen drive recovery you need to download one software, is RECUVA PORTABLE software which is freeware. (But if you want to recover accidentally deleted files and images, Automatically updates to the latest version, You will have to pay for 19$). I am using this freeware software. Actually, this is enough for deleted file recovery. So I recommend you to use this freely. This software is very friendly in use. You can filter the recovery results on the base of file name and extension. You can restore all file types like doc, image, video, audio, music etc. It can recover deleted files from removal disk (Floppy disks, Flash SD, Sony memory card etc). 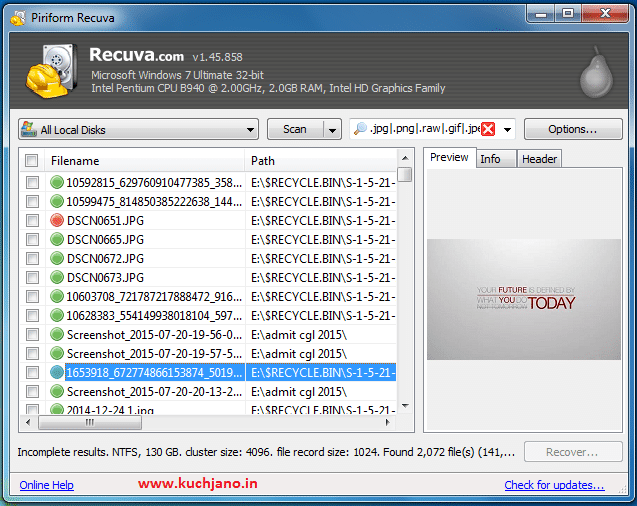 Above information is enough to tell you why I use Recuva for recovering deleted stuff. Let’s see the process. After selecting file type hit on Next > Button. Then Select the drive from where you want to recover. After processing you will get the result of recovered files. As shown below image. 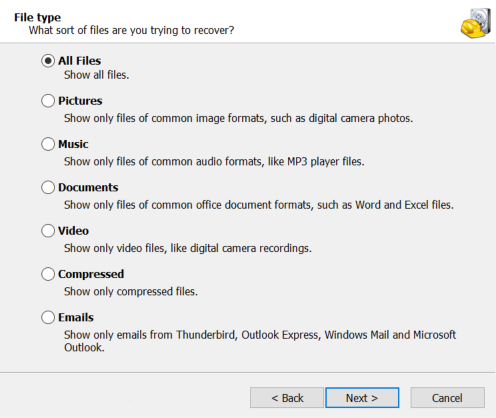 Select files which are required and then Hit on Recover… button. That’s done., Now you have successfully recovered your file. I hope you understand how to recover the deleted file. If you have any problem with recovering the file or you know any other data recovery tool then write to the comment box. How to Play Basketball Game on Facebook Messenger App ?